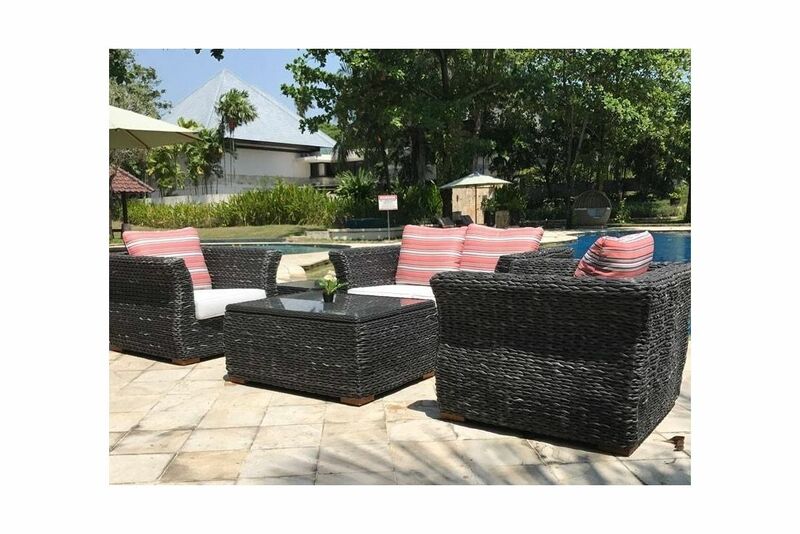 The synthetic weave is specifically manufactured to look like Natural Water Hyacinth as opposed to the usual natural rattan. At 8mm thick the weave is finished perfectly for that eye-catching, centre-piece feel and it’s UV stabilised so it won’t fade over time. The Midnight Montana Range is virtually maintenance-free simply requiring a quick wipe over with a damp cloth every now and again. Expert crafts people are employed to hand-weave our sofa sets around tough but lightweight aluminium frames. These people are time-served and pass their skills down through generations meaning their quality is unmatched in any market. The technique used is similar to that used with traditional cane weaves where thinner, strand-fibers are used to support the main weave itself to give added strength and a tighter knit whole that will last for years.